NCAA Recruiting – You want to join the NCSA? Trust me it’s a good step to a better career in athlete and if you’re looking for any information on how to join then you are at the right place. So what’s NCSA? The NCSA, an abbreviation that means “Next College Student Athlete” (NCSA) is a profit oriented organization that links middle and high school student-athletes with college coaches. NCSA trains middle and high school student-athletes about the college recruiting procedure. The NCSA Athletic Recruiting team comprises of coaches, scouts and previous college athletes. NCSA Athletic Recruiting was included in the 2012 Inc. 5000, and in the top 20 of Crain’s Fast Fifty in both 2013 and 2012. The headquarters of NCSA Athletic Recruiting is in Chicago, Illinois. Chris Krause is the founder and CEO of NCSA Athletic Recruiting. Searching for the right college is very crucial, While, student-athletes generally have a couple of dream schools in mind, the possibility of those coaches recruiting their position and giving scholarship might not be too probable. That’s why we tell every athlete to research several programs and build a school list to make the most of their opportunities and find their best college matches. Making a video could make a difference and gets a student-athlete some serious attention from college coaches. We explain what coach’s look for in highlight and skills videos and help families capture the right footage for their athletes. There are many events for student-athletes to attend. From camps to combines, showcases to evaluation camps, and so much more, it’s vital to know the goal of each one and to narrow down what’s right for you in your recruiting. 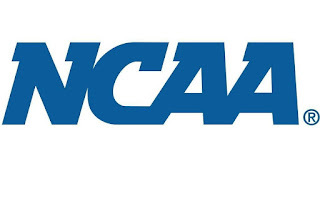 The NCAA is in-charge of making the recruiting rules, academic eligibility requirements and amateurism requirements for college-bound student-athletes at the Division I, Division II and Division III level. There’s a lot to know, so we’ve created our NCAA eligibility center to explain the whole process. 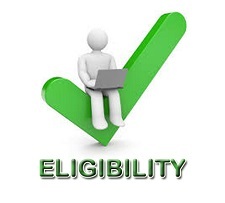 Make sure you understand the NAIA eligibility; The NAIA has its own set of eligibility ideals for student-athletes. Check out the standards future NAIA athletes must fulfill and learn more about the National Association of Intercollegiate Athletics in the process. The NCAA just approved a new set of rules that will change the way Division 1 college coaches can recruit athletes during camps and visits in an effort to cut back on early recruiting, or coaches giving scholarship offers to athletes before their junior year of high school. – Official visits: Recruits can now start taking official visits starting September 1 of their junior year of high school. In the past, official visits weren’t permitted until the athlete’s senior year of high school, so this rule is actually bumping them up! – Camps and clinics: Recruits and college coaches are not allowed to have any recruiting conversations during camps prior to September 1 of the athlete’s junior year of high school. Previously, there weren’t really any rules that prevented coaches from talking about recruiting to underclassmen during camps. In fact, it had become common practice for college coaches to extend verbal scholarship offers to top recruits during camps. – Unofficial visits: College athletic departments-this includes college coaches-are not permitted to be included in a recruit’s unofficial visits. Quick refresher: Unofficial visits are any campus visits paid for completely by the recruit’s family. Before the rule change, unofficial visits is an stress-free way for underclassmen to visit a college camps, meet with the coach and get an early verbal offer. Nevertheless, if athletes want to take unofficial visits now, they cannot meet them with the coach-they should treat the unofficial visit just like any other student would. If the recruit happens to bump into the coach on campus, they can’t have any recruiting conversations at that time. – D1 softball only: Softball took the new rules to the next level by making it illegal for college coaches to have recruiting conversations or send recruiting messages through an athlete’s club/high school coach or other third party. In the past, coaches and athletes took advantage of a loophole in the rules by having recruits’ current coaches reach out to college coaches on their behalf. With the new rule, no one can reach out to college coaches on a recruit’s behalf before September 1 of their junior year of high school. 1 additional year of English, math or natural or physical science, 2 years of social science, 4 years of additional main courses (from any category above, or foreign language, non doctrinal religion or philosophy); get a at least a required grade-point average in core courses and get a combined SAT or ACT sum score that matches the core course grade-point average and test-score sliding scale. (For instance , a 3.000 core-course grade-point average needs at least a 620 SAT). 2 additional years of English, math, or natural or physical science, 2 years of social science, 5 years of extra core courses (from any category above, or foreign language, nondoctrinal religion or philosophy); Earn a 2.000 grade-point average or better in your core courses; and earn a combined SAT score of 820 or an ACT sum score of 68. It is also worth noting that Division III Academic Qualification is a little different than that of Division I or Division II. There are no athletic scholarships available at the Division III level, and athletic budgets are very lower. hence, the standards for Division III qualification are not as broad . As long as a student athlete meets the admission eligibility for their required university, they are Qualified to compete. There are no extra requirements.